James Alonzo is a North Carolina native, who started dancing at the age of 18. James recently received his M.A. of Dance Education at New York University in hopes of creating his own dance convention to help aspiring dancers become their best. James has had to opportunity to train in New York, Los Angeles, and Atlanta in Modern, Contemporary, Street Jazz, Hip-Hop, and Commercial Dance.. He has trained with choreographers such as Luam, Neil Schwartz, Zach Lattimore, and Candace Brown and is currently a Monsters of Hip Hop Show Nominee. 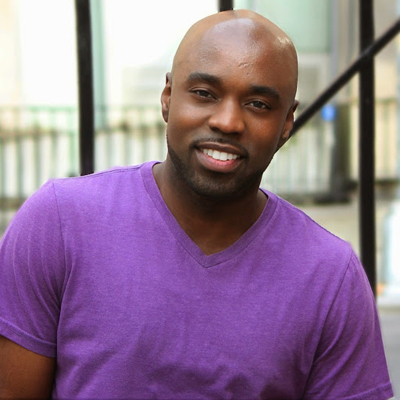 James' professional credits include BET Blaze the Stage, Sound Syndrome: The Off Broadway Show, the Broadway Dance Center Showcase, NBA Playoff Flash Mob, Frankie Lemmon School Promo Video, and the New York University Faculty and Master's Concert. He has also had the opportunity to assist choreographers such as Neil Schwartz and Aurelia Michaels for the "For Your Love" Music video by Cess and Unlimited Wireless Flash Mob.